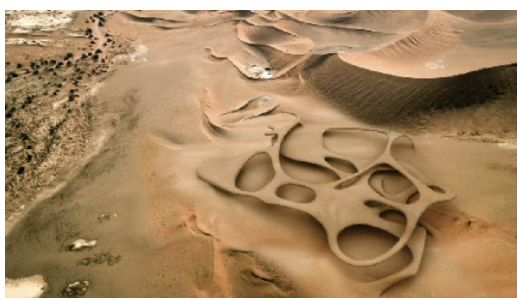 Celebrating Earth Day at the NewsGallery, have a watch at how Magnus Larsson envisions deflecting desertification that is threatening our earth. 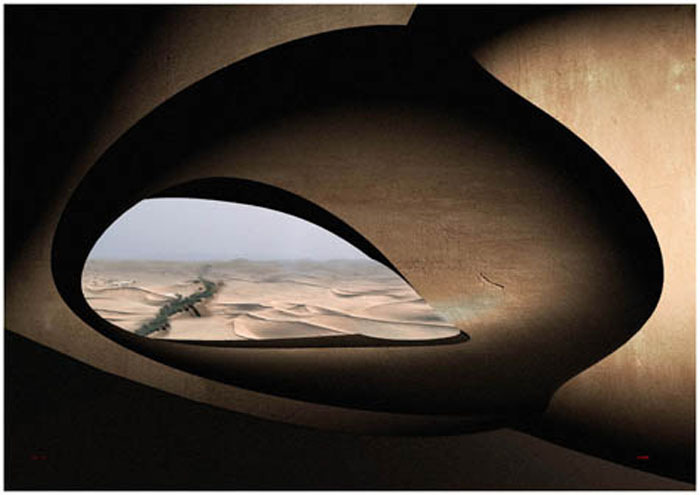 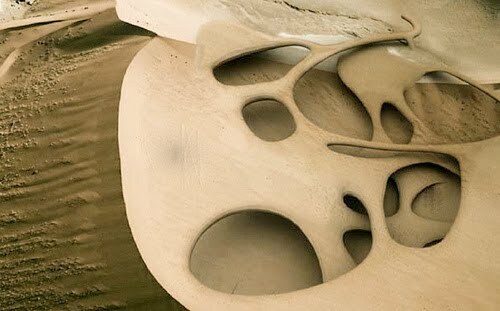 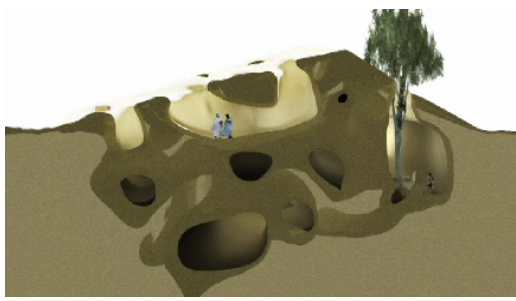 This very ambitious Swedish architecture student from Oxford University, conceptualized beautiful sand dune housing in the Sahara desert. 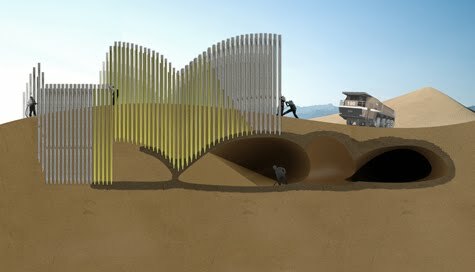 His proposal is to relieve consequential measures that await about 110 countries mostly in Africa as well as China, such as crashing food systems, water scarcity, famine, and ultimately forced-migration of populations who face the looming sand threats that stand to eat their residences alive by building architecture from sand dunes.